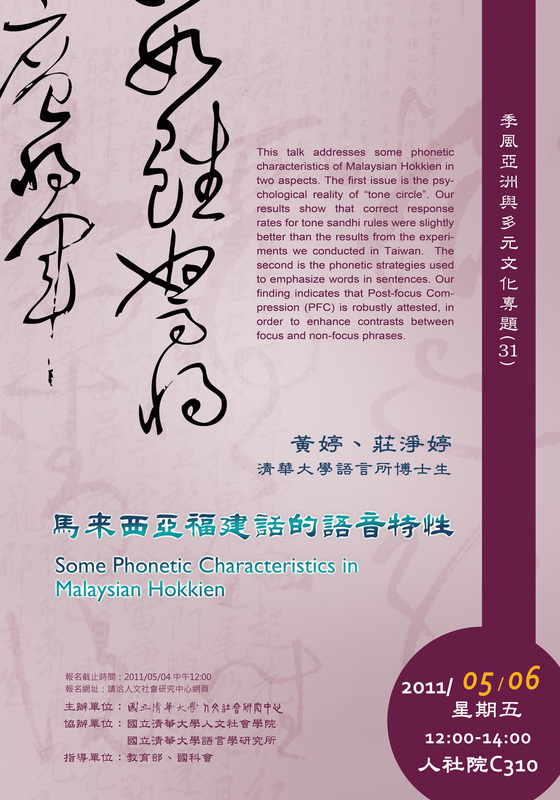 This talk addresses some phonetic characteristics of Malaysian Hokkien in two aspects. The first issue is the psychological reality of “tone circle”. Our results show that correct response rates for tone sandhi rules were slightly better than the results from the experiments we conducted in Taiwan. The second is the phonetic strategies used to emphasize words in sentences. Our finding indicates that Post-focus Compression (PFC) is robustly attested, in order to enhance contrasts between focus and non-focus phrases.